Local will certainly be lekker in Round 3 of the Power Series sponsored by Wingfield Motors at Killarney International Raceway on Saturday 13 April, with huge fields for the locally-based regional racing series that form the backbone of racing at the home of motorsport in the Western Cape. 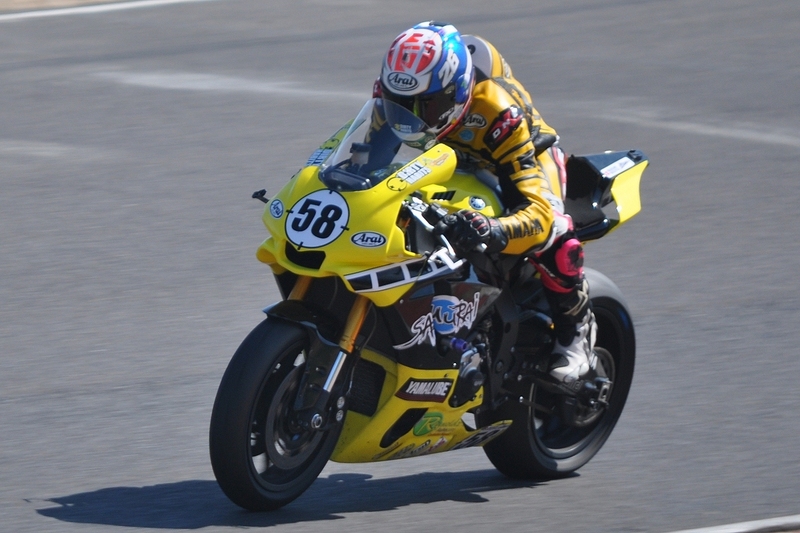 The RST Suzuki South Superbike races will be intense as arch-rivals Hayden Jonas (Samurai R1) and Ronald Slamet (PLM Motorsport R1) take up where they left off at the last event. Jonas has won all four of their encounters so far this year, so the pressure is on for Slamet to come up with a clapback. Expect fireworks. Former regional champions Malcolm Rapson (Kawasaki ZX-10R) and Rob Cragg (Mad Macs ZX-10R) will do battle with Quintin Ebden (Milu R1) for line honours in the SuperMasters Class, while Jared Schultz (ASAP World R6) and Brandon Staffen AJH Cooling/RPM ZX-6R will be the riders to watch in the Super600 Class. True to form, the RST Trac Mac Clubmans/Breakfast Run races have attracted the biggest two-wheeled field with 25 entries; riders to watch here are veteran Wayne Arendse, who has stepped up from his Honda 600 to a litre-class Kawasaki ZX-10R this season and become a serious contender, as well as Joske Kotze (JB Skips ZX-6R) and born-again racer Gareth Kenward (Kawasaki ZX-10R). Ezio Miglietta and Tony Rodrigues (each on a Kawasaki ER650) will set the pace in the RST Trac Mac Powersport races, with Grant Raeside (Kawasnail EX300), Tony Sterianos (RST RC390) and Jason Linaker expected to lead the charge of the light brigade in the ultra-competitive Powersport 300 Class. The Clubhouse Kiddies Korner is now also available for children’s parties – contact the Western Province Motor Club on (021) 557-1639 for details. The Trackside Pub & Grill Clubhouse will be open all day and late into the evening, for fine food and ice-cold beverages; for a covered balcony offering stunning views along the Porsche Club straight and into the old pits as well as designer coffee, snacks and frosties, try the New Pits Lounge. The gates open for Round 3 of the Power Series sponsored by Wingfield Motors at Killarney International Raceway at 7.30am on Saturday 23 February and racing starts at 10.00am. Book at Computicket (https://online.computicket.com/web/event/power_series_round_3/1287758524) or pay at the gate; entry is R80 for adults, R20 for scholars under 16 and free for kids under 12.